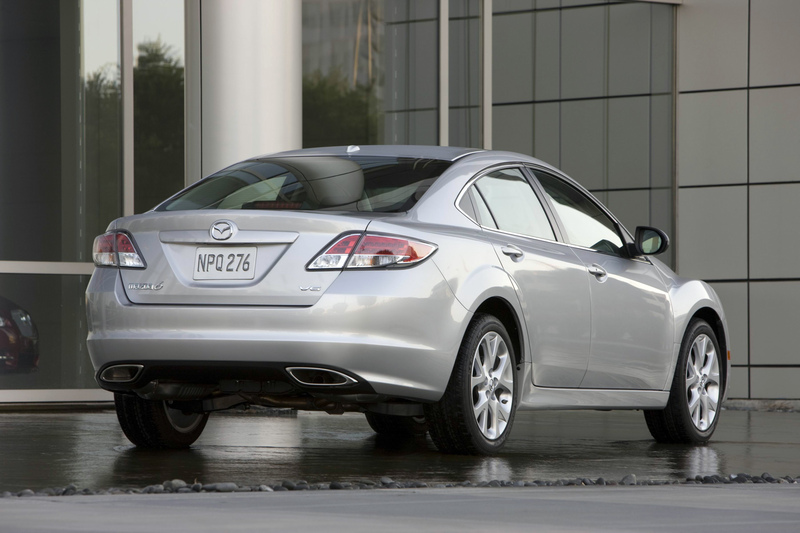 Critically rated one of the better cars in this tough midsize segment, the Mazda6 had always been a little smaller and sportier than the pack, but that all changed in 2009, when the 6 was redesigned.? The new larger and more refined Mazda6 now competes with all the big names like Toyota Camry, Honda Accord, Ford Fusion and Hyundai Sonata on a more level playing field. We liked the old Mazda because it was a little different than the crowd, but the new 6 has a strong appeal with its unique styling and driver orientation. Mazda6 styling takes cues from the RX-8 sports car with a fender treatment that flows from the front fascia back through the headlights, over the wheel arches to the front doors. ?The roofline has a flowing coupe-like style that sweeps back to the short trunk deck.? The design produces a very low 0.27 coefficient of drag for better stability and fuel economy. The interior is understated with high quality materials and a simple businesslike organization.? We were impressed by the roomy interior and the leather seats in our test model were comfortable and nicely bolstered for extra cornering support. About 80 percent of the 6s are ordered with the 2.5-liter, four-cylinder engine.? It is rated at 170 hp and gets an EPA rating of 21 mpg city and 30 mpg highway with the five-speed automatic transmission.? The six-speed manual is rated one mpg less. Our Mazda6 s Touring Plus test car was powered by the 272-hp, 3.7-liter V-6 with a six-speed automatic transmission.? The engine is strong and quick, pulling the front drive sedan from 0 to 60 mph in just 6.5 seconds.? The EPA lists fuel economy at 17 mpg city and 25 mpg highway for this combination.? We actually averaged 23.1 mpg during our week behind the wheel. The Mazda 6 i (the four-cylinder version) comes in five trim levels: SV, Sport, Touring, Touring Plus and Grand Touring. ?Prices start at $19,300, including the destination charge for the SV and each model adds more features and the prices advance to $26,835 for the i Grand Touring version. There are two ?s? models, the Touring Plus and Grand Touring, priced at $27,350 and $29,290 respectively.? The technology package and navigation system are only available on the Grand Touring models. ?The technology package includes extras like push button start, auto dimming outside mirrors, satellite radio, Xenon headlights and rain sensing wipers that make driving easier.? With all the bells and whistles, the Grand Touring s pricing tops out at about $34,000. One of the new safety features added to the two upper level models is the blind spot monitoring system that indicates when another vehicle is in the area that can?t be seen in the side view mirrors. 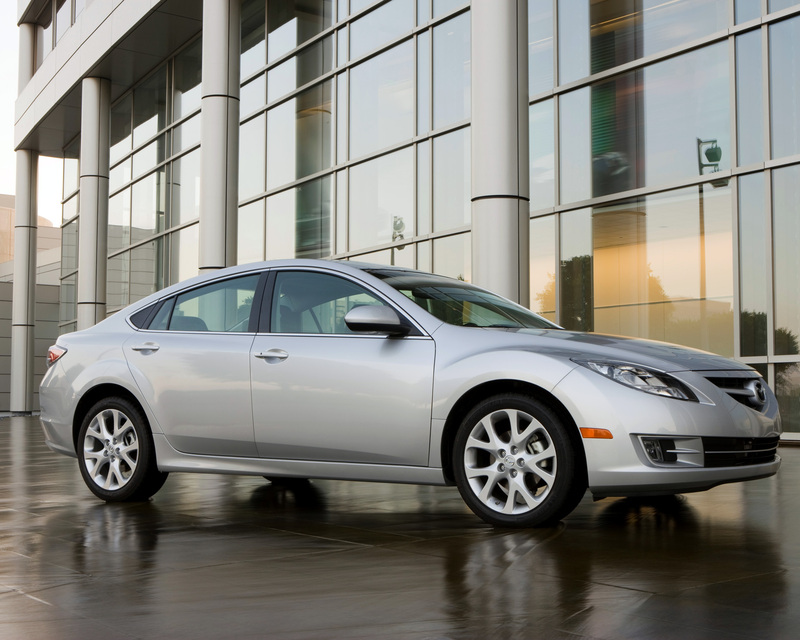 Even after increasing the size of the Mazda6, engineers were able to keep the weight down making it one of the lightest cars in the category. It is underpinned by four-wheel independent suspension with a double wishbone configuration in the front and multilink in the rear.? Combined with the rigid body the 6 is smooth and agile with a firm but compliant ride. Mazda may have changed their approach to the midsize market with the larger Mazda6, but they didn?t change the car?s Zoom Zoom quotient, it is still one of the best driving cars in the category.